As we are building our script, we will occasionally have to close it to do things such as create Event Boxes and copy enemy paths. This topic shows you how to re-open the script and continue to edit it. 1. 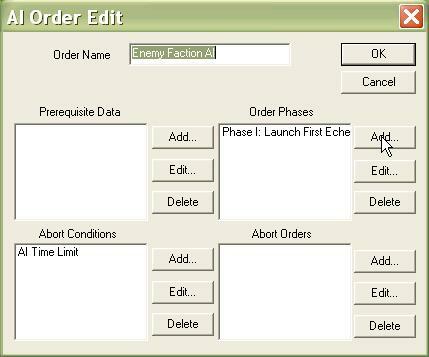 Select 'Unit', 'Hierarchy', 'Faction AI', 'Edit', and 'Enemy'. 2. 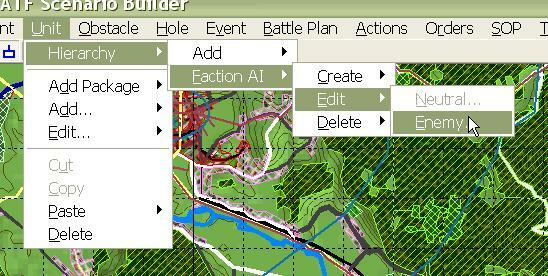 Now you can create additional AI Phases, add conditions, or make changes to current Phase Orders.